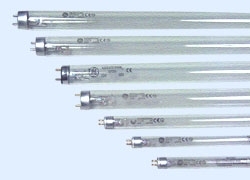 A U.V light is an essential piece of equipment to keep water crystal clear. We sell a variety of models from Yamitsu, TMC, Filtreau and superfish. It is recommended to allow 10 watts per thousand gallons, but this can be affected by many factors including stocking levels and hours of sunlight. Blagdon Powersafe weatherproof electric switchbox. TMC Pond clear Advantage 6 watt. TMC Pond clear Advantage 8 watt. 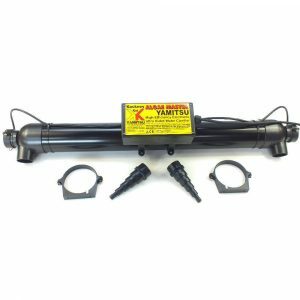 Yamitsu 15 watt Algae Master UV light for ponds upto 1500gals. Yamitsu 25 watt Algae Master UV light for ponds upto 2500gals. Yamitsu 30 watt Algae Master UV light for ponds upto 3000gals. Yamitsu 55 watt Algae Master UV light for ponds upto 6000gals. Stainless steel body for 35% more UV light. Sterilize and clarify your pond water.